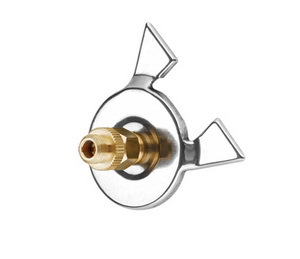 This is a very useful adaptor which allows any stove which has a threaded (lindal-valve) head to use cheap & easily available bayonet-head gas canisters which are normally used with steamboat stoves. To use, just swop the existing gas adaptor head of the stove and replace with this adaptor head. 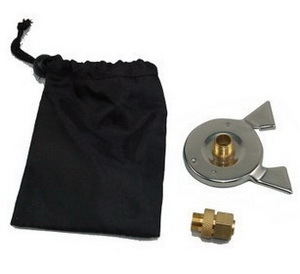 This means your threaded-head (lindal-valve) stove can be used in this part of the world ie. 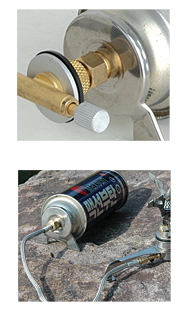 Singapore, Malaysia, Indonesia, where threaded-head gas canisters are not found. Material: Stainless steel and copper alloy.